CAPPS software platform provides integrated metrology solution for both CMM and CNC Machine-Tool Metrology applications and driving AM part machining. 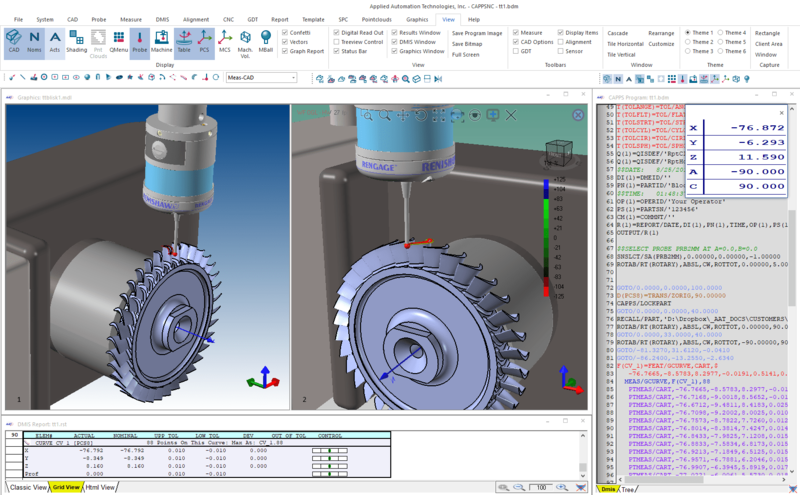 Applied Automation Technologies, Inc (AAT) has announced the release of Version 8 of its popular CAPPS metrology software for Coordinate Measuring Machines (CMM) and Machine Tool Metrology (MTM). For more than 30 years AAT has developed CAD based online and offline dimensional measurement software products and, as an independent software developer, has created an extensive library of ‘plug and play’ controller interfaces for both CMM and CNC machine-tool controllers. CAPPS, with its ability to operate CMMs and perform MTM, offers an advanced enterprise encompassing metrology platform for the Smart Factory digital age. The newly introduced CAPPS v8 includes both Capps-DMIS CMM Software and CappsNC for machine tools. 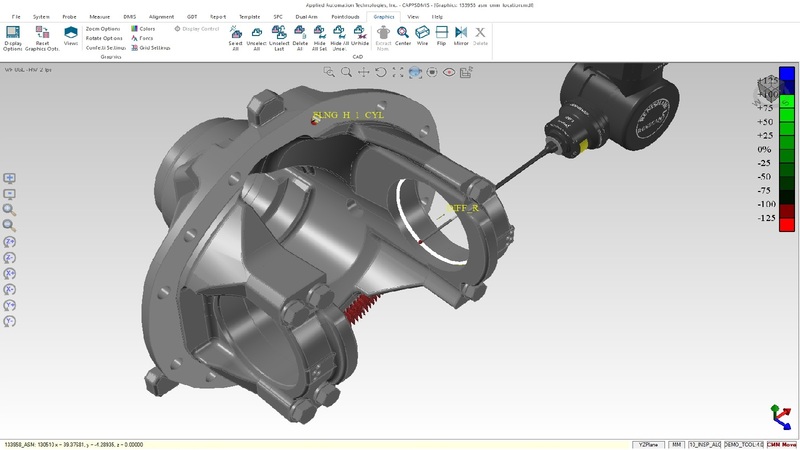 Introduced features and enhancements include a new graphics engine providing enhanced imaging providing sharp and crisp CAD overlays of measured data, multi view port support with a powerful CAD and graphics interface and updated user friendly ribbon menu and toolbars allowing uninterrupted viewing of the graphics window. CAPPS is a seamless offline and online metrology software with the latest version providing easy access to extensive programming tools including graphical editing of programming paths and enhanced automatic collision avoidance. Seamlessly integrated powerful point cloud functionality incorporates data collection from non contact laser-line scanners allowing rapid best fitting of data-sets to CAD with advanced RPS and 3D-Bestfit, with surface iterations and datum constraint, and automatic feature extraction, curve and surface analysis. Capps NC is ideally suited to Additively Manufactured (AM) components whereby the generated point cloud is best fitted to CAD deriving the optimum part alignment for subsequent machining operations. Capps-DMIS can be supplied as an upgrade package to existing CMM controllers using its direct interface library or as a retrofit package with a new CMM controller utilizing the I++ interface to connect with all common controllers including Renishaw’s UCC platform. CappsNC provides the capability to adapt and program any CNC machine-tool as a CMM with the integrated capability of providing real time feedback to the controller allowing adaptive machining to be executed. AAT pioneered machine tool metrology (MTM) in the 1990’s working on the 777 program at Boeing and has expanded on its initial experience developing the unique comprehensive capabilities offered by CappsNC today. Capps NC offers optimum multi-axis path planning for table, head and mill-turn machines, automatic program generation with CAM and probing measurement program integration. 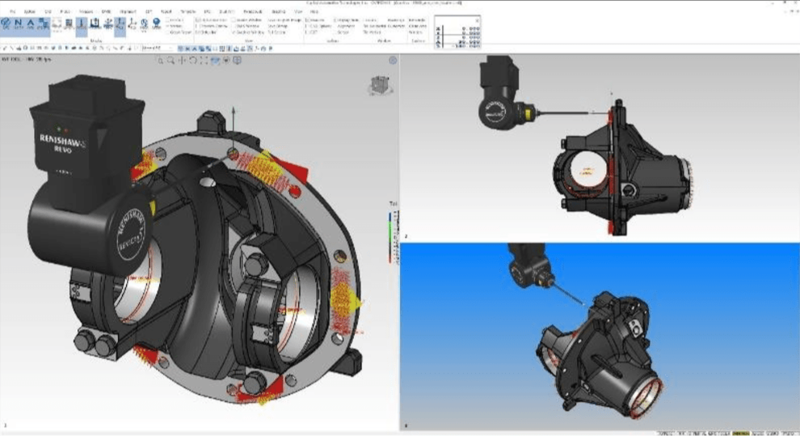 In addition CappsNC includes coordinate system and work offset relationship for easy visualization and part alignments, logical programming allowing advanced decision-making based on metrology data and dynamic tool compensation for perfect part machining.